The destination of choice for a wide variety of attractions, concerts, and events, and one of the most popular arts venues in Greater Cincinnati. Contact our Rentals Manager to learn more. Rehearsal Hall is a flexible space which can be set up for meetings, rehearsals, auditions, dinners, and parties. 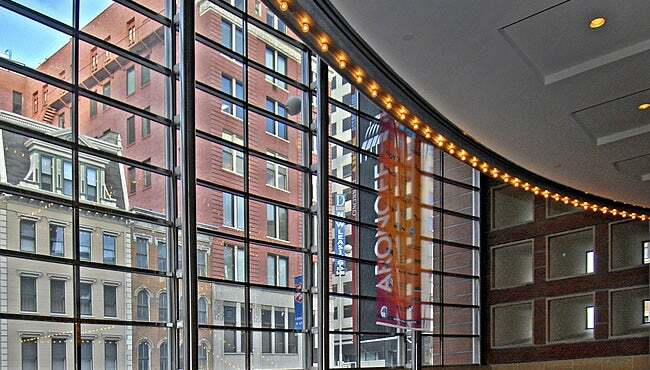 Aronoff Center Lobbies - Each lobby level can provide a stunning site for social events, meetings, and presentations. Green Room - The elegant reception room may be set up for sit-down dinners of 80, stand-up receptions for 140, or meetings and presentations. Weston Art Gallery - A 3,500 square-foot art gallery that hosts local, regional, and national artists, and creates a unique setting for cocktail parties, charity events, and pre-show receptions. 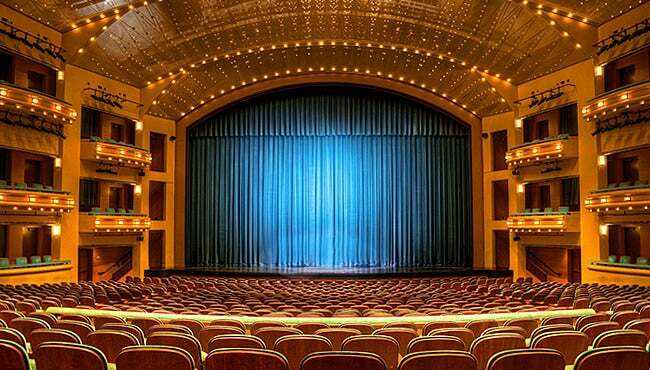 Why choose the Aronoff Center? The Aronoff Center for the Arts is the destination of choice for a wide variety of attractions, concerts, and events, and one of the most popular arts venues in Greater Cincinnati. 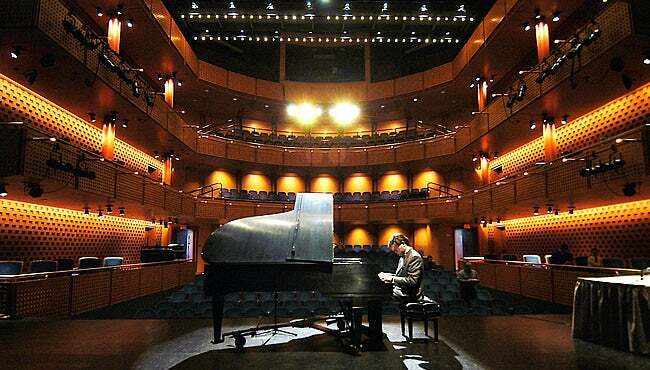 Maximize the attention your next event receives by holding it at one of our amazing theaters or gathering spaces, which are available for performance-related events including concerts, lectures, corporate meetings, recitals, plays, graduations, and receptions. The sleek Aronoff Center is modern and comfortable, fully equipped with all the amenities you’ll need, and adjacent to parking facilities, hotels, and restaurants. Our team of event and production professionals will assist you in making your event successful and memorable!